So, what should you use instead of peat moss? The short answer is compost. The more detailed answer is this. To be healthy, soil needs three things - organic matter (OM), rock minerals (RM) and living organisms (LO). Organic Matter - To provide the OM, the most common source is compost. It can be made or purchased. It's basically once-living material that is broken down or rotted. 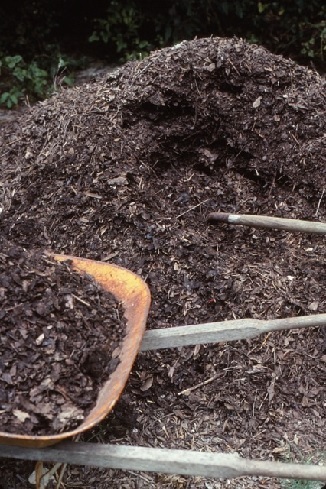 Other OM materials that can be added to beds, potting soil and turf areas include coir (coconut fiber), shredded tree trimmings, earthworm castings, coffee grounds, manure products, various organic fertilizers, etc. Coir by the way is a great substitute for peat moss as the lining in hanging baskets. Rock Minerals - For the RM portion, the choices include lava sand, Azomite, granite sand, basalt, iron ore sand, zeolite, montmorillonite clay, greensand and others. Living Organisms - Life in the soil (beneficial microorganisms) will be stimulated to grow by using the first two amendments, but there's more that can be done. Microbe products like Bio-S.I. can be purchased and applied to provide beneficial bacteria, mycorrhizal fungi and other helpful organisms. Other useful products for stimulating life include sugars like molasses, cornmeal and sorghum, blends like Garrett Juice, and soil stimulants like Medina Soil Activator. The synergism that happens by the use of these three groups of materials is what creates healthy soils - and healthy soil is the key to plant, animal and human health. Synthetic fertilizers and toxic pesticides are devoid of life and actually hurt the soil. That's why sensible people continue to move away from them. For more detail on this and other related subjects, read the book, Organic Management for the Professional.